J.A.L. Contractors Inc. is your complete contractor serving the Permian Basin. We specialize in dirt work, frac pits, locations, deep buries, grubbing, clearing, heavy hauling, road building, repairs, and maintenance. We also offer concrete work, fencing, logistics, and site materials. We have the experience, expertise, and technology to provide the highest level of service to our customers and to exceed their expectations. "ASCO has been in a partnership with J.A.L. for the last three years using them for hauling our equipment. Every time we call they are prompt, honest, and provide 1st class service. 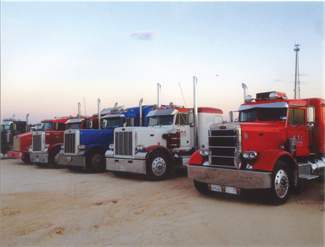 Drivers are able to get our equipment delivered to oilfield locations without problems."